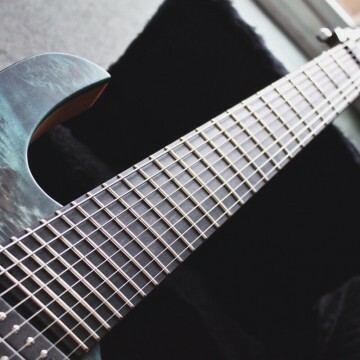 Great introduction into the realm of 8-stringed multiscales! 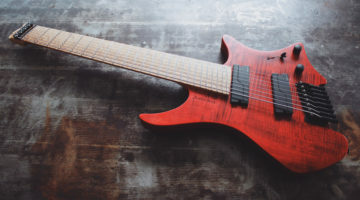 Multiscale guitars have been increasingly popular, to the point that they have long transitioned from being one of a kind, expensive custom shop instruments to affordable, mass produced and readily available guitars you can get at your local Guitar Center. 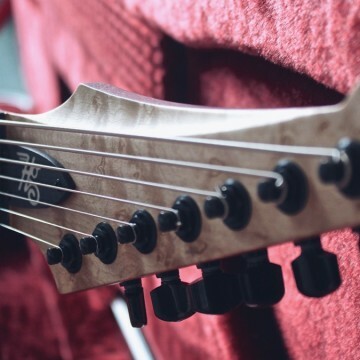 Ibanez, ESP/LTD, Schecter and Jackson all have added extended range guitars with fanned frets to their lineups in recent years, to name a few. 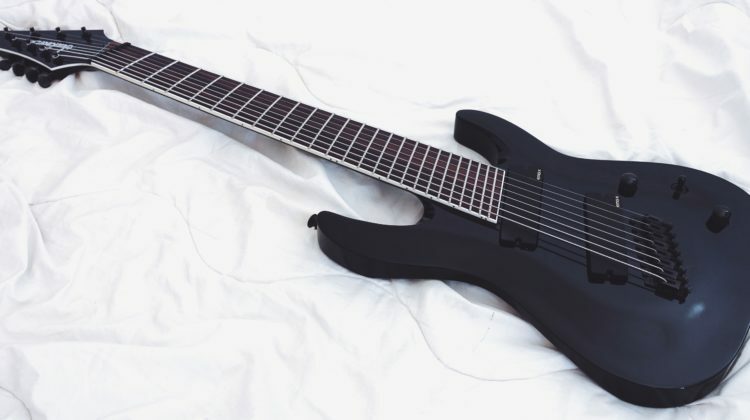 This is not the first time I’m trying a Jackson X series guitar and if the first one was any indicator, this SLAT8 FF X should be a lot of bang for your buck. 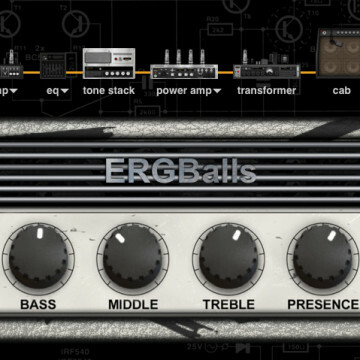 I reviewed both for the German Gitarre & Bass print mag, for which I’ve actually been writing a monthly column about ERGs since 2016. 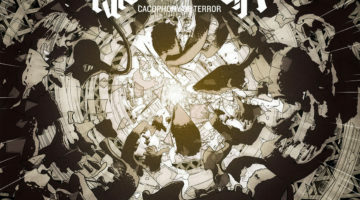 You should check it out if you speak German! 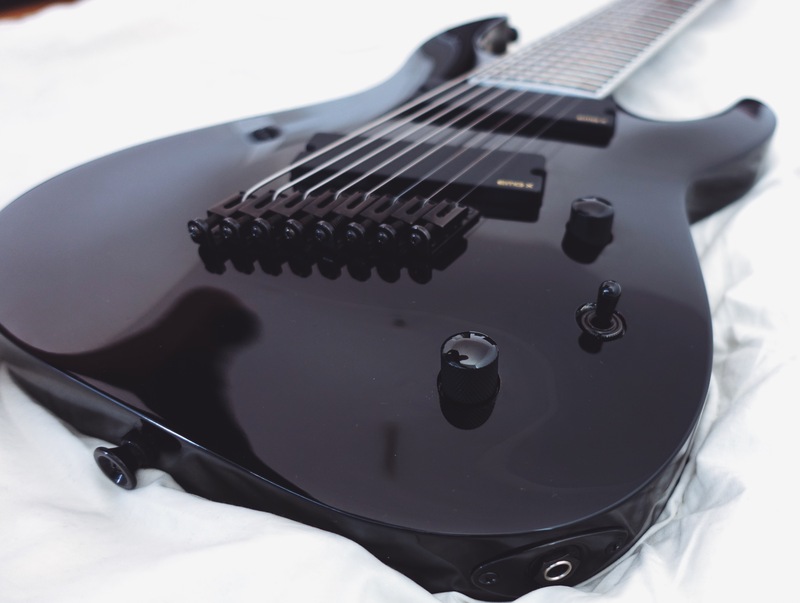 It’s not easy to win me over with a glossy, black guitar, so the Jackson is off to a bit of an unimpressive start. 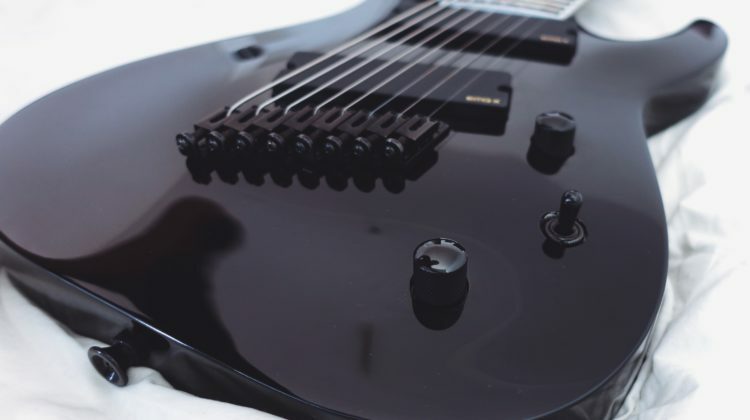 The black guitar = Metal guitar formula is a little tired at this point, but the white binding saves the day and adds a little bit of class to the overall design. 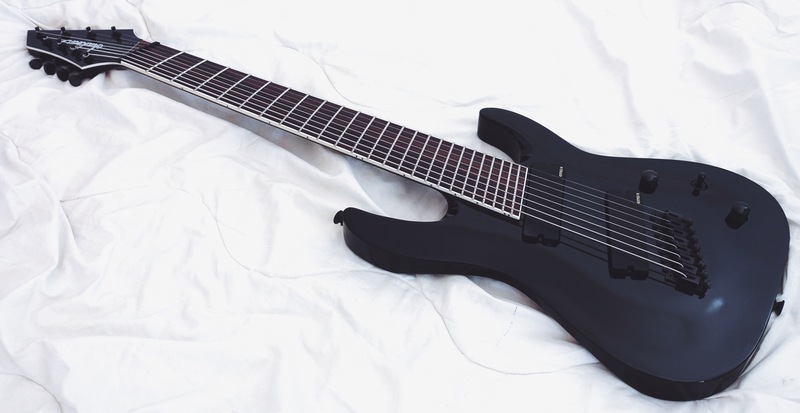 On the other hand, this guitar has one of the nicest black finishes I have seen on an instrument in this price range. 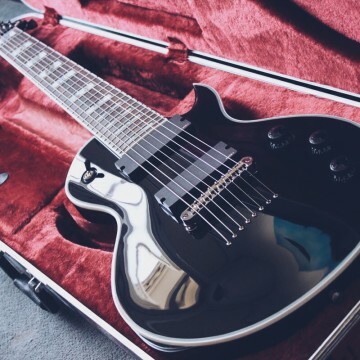 It’s got that piano look to it – pitch black, yet shiny like a mirror – and feels very high end as well. So whether you like the look or not, the finish is very well done for sure. 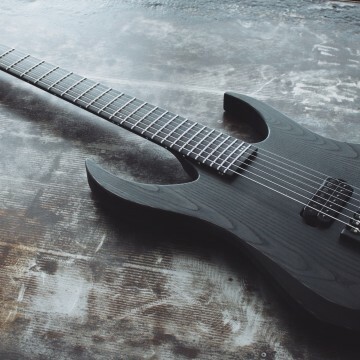 Now Jackson could have made this more of a home run with an ebony fretboard, but at least the rosewood board on this particular SLAT8 FF X is dark enough to blend in with the finish pretty well. 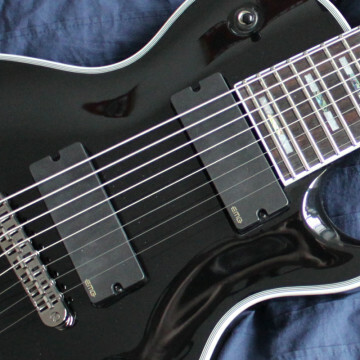 I also wish the fretboard wouldn’t extend beyond the nut, but that’s something you can’t expect in that price range. 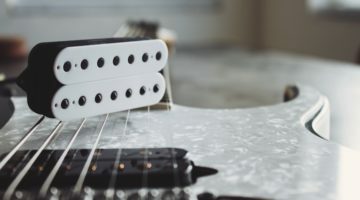 LTD’s new M series multiscales are the only mass produced and affordable guitars I can think of that don’t have this purely aesthetic “flaw”. The fretboard ends with the angled nut and LTD redesigned the headstock to make the transition more smooth. But it’s a feature generally reserved for more expensive brands. 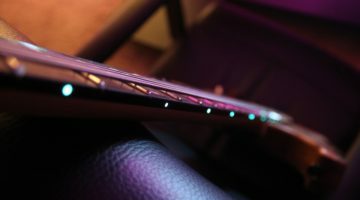 Apart from all that, the SLAT8 FF X doesn’t have a ton of standout features. 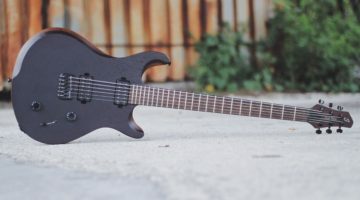 Sure, the oversized, angled EMG909Xs are hard to miss and apparently the headstock design is a matter of controversy, but thanks to the all black look, it all blends together just fine to my eyes. 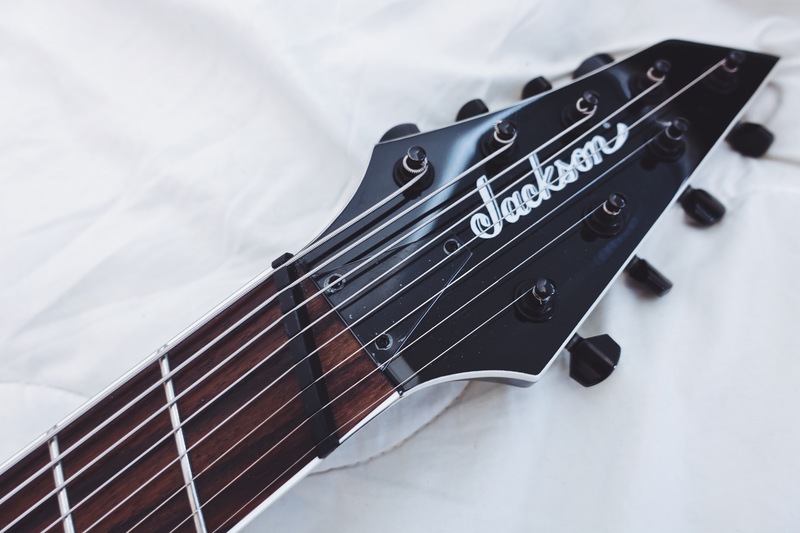 This is where the Jackson begins to really shine. 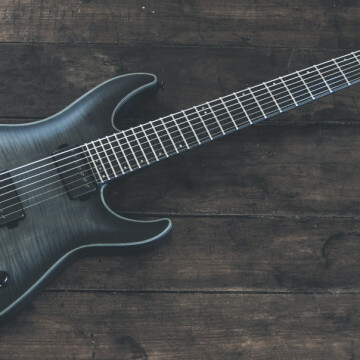 First off, the SLAT8 FF X is a light weight for such a massive looking guitar. 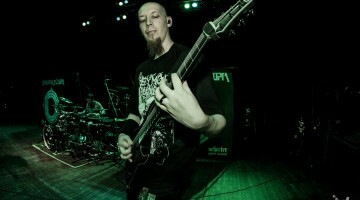 And that neck is one hell of a shred stick, if I’ve ever touched one. 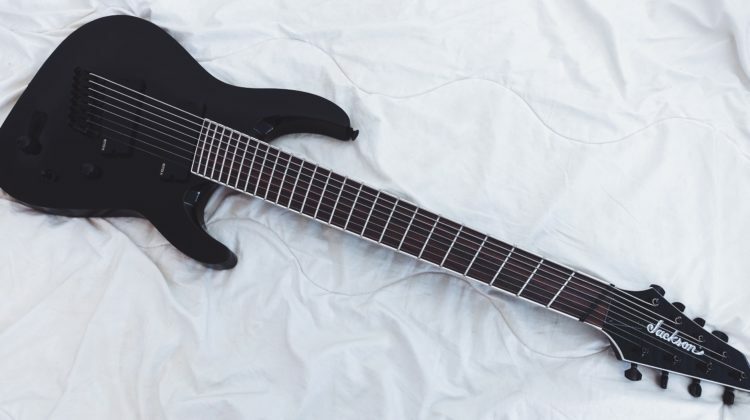 Seriously, this is probably the best 8-string neck profile under $1000. 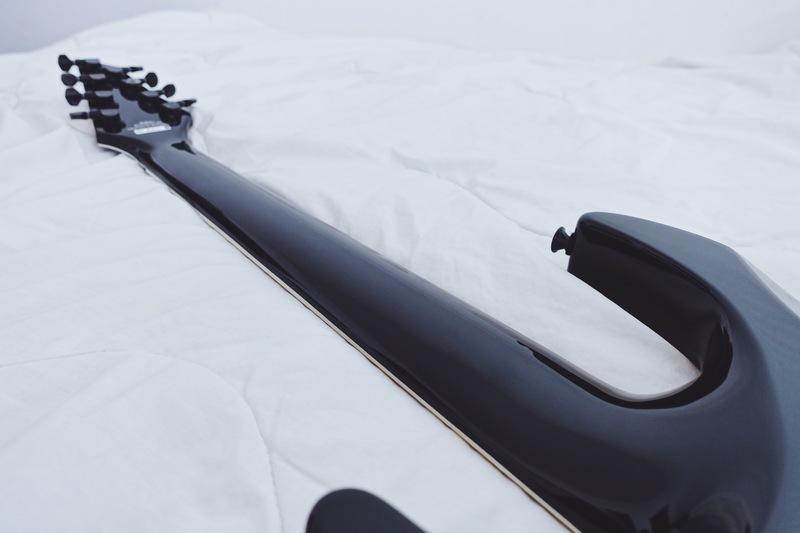 It’s flat and comfortable and genuinely makes playing the Jackson a breeze. 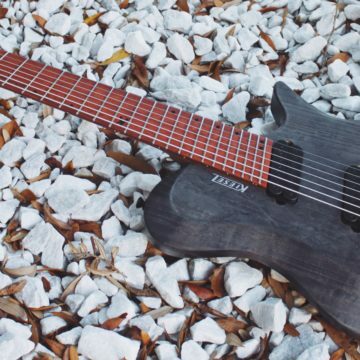 If I was new to 8-strings and this guitar was my entry into this realm, it would certainly give me confidence. 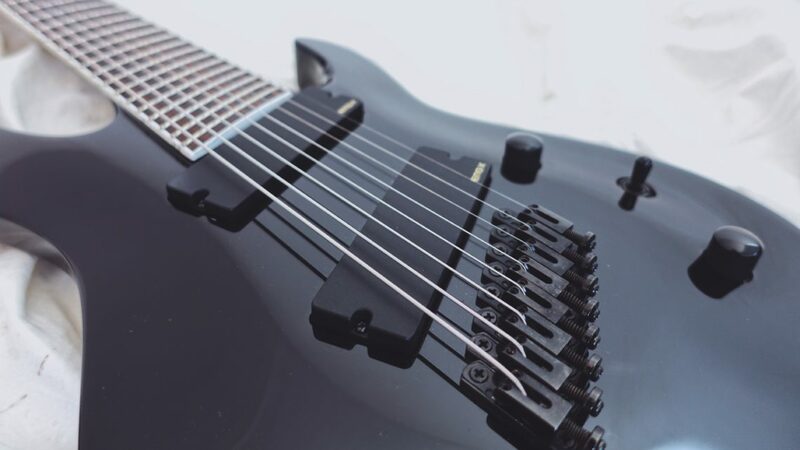 And the shredders among you would kill it with this neck and the low action from the factory. 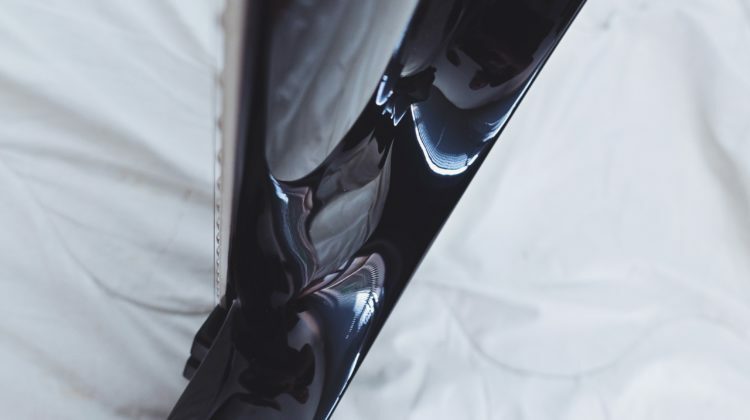 I’m saying all that despite the fact that the neck is also finished with the same glossy finish as the rest of the guitar. But whatever Jackson’s finishing department is doing, they are doing it right. 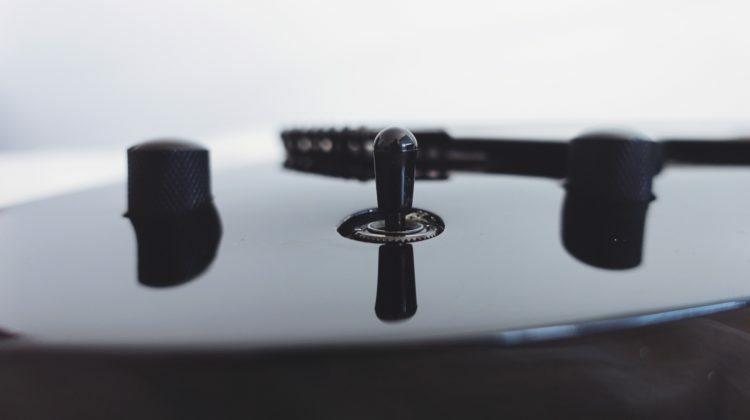 This neck doesn’t get sticky as quick as other glossy necks and generally feels incredibly smooth. If I was looking for flaws real hard, the factory set of strings would be something to call out. 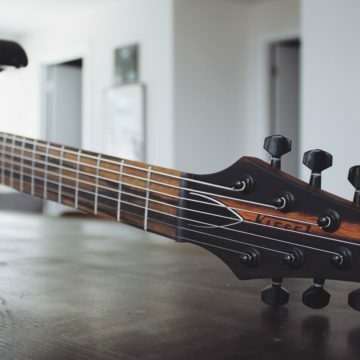 A .65 just doesn’t cut it for F#, even with a 28″ scale on the lowest string. 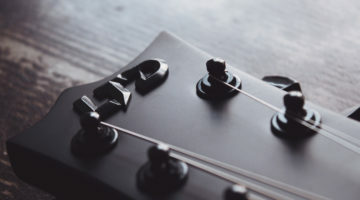 For ERG veterans, this shouldn’t pose a problem, but the loose string and inevitable fret buzz might discourage someone who picks this guitar off the wall at a store. 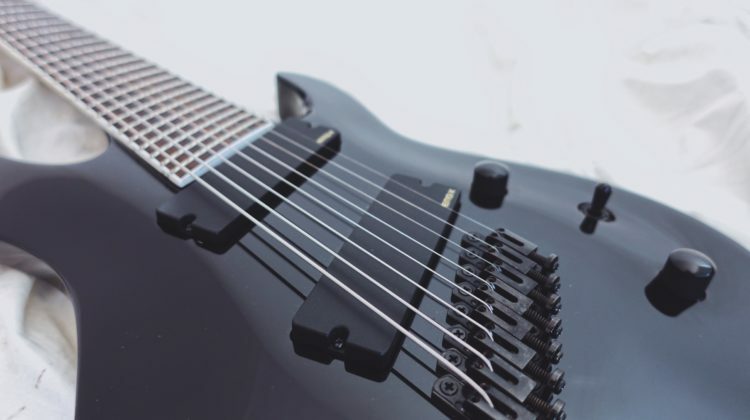 Unfortunately I don’t have clips for this guitar at hand, so you have to take my word for it: I really like how the EMG909X set sounds in the SLAT8 FF X. 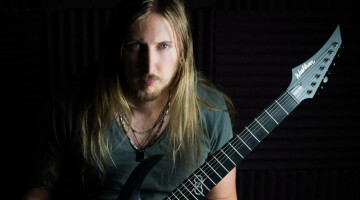 The midrange is definitely where this guitar shines – it sounds crunchy, fat and huge without sacrificing clarity! 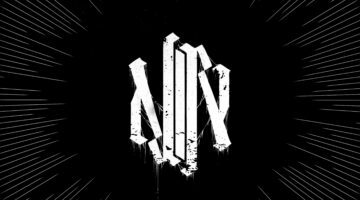 I’ve been a fan of the EMG X series ever since I first worked on a mix which featured a 7-string that was loaded with the 707X. 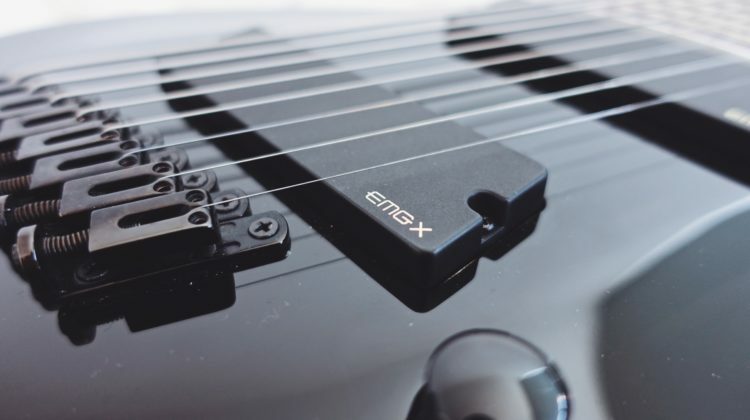 The X series kind of addresses what I dislike about regular EMGs – they aren’t as compressed and therefor a lot more dynamic, while still giving you that aggressive EMG tone. 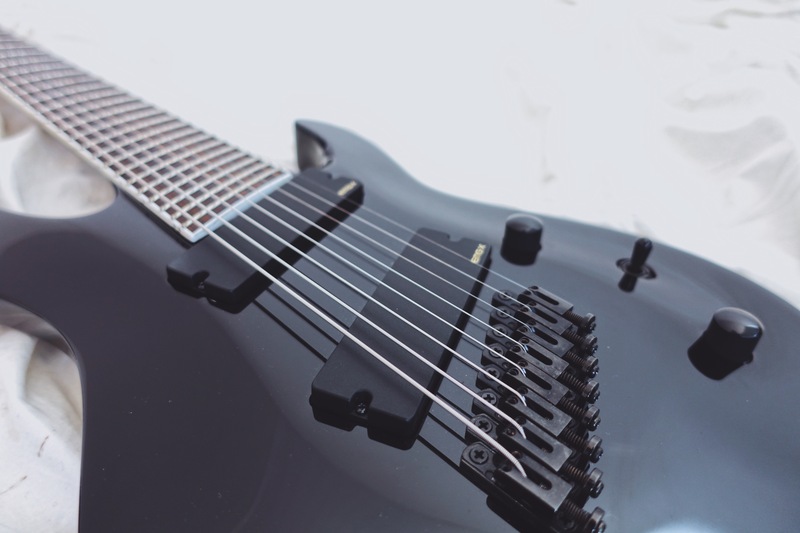 Generic looks aside, the SLAT8 FF X is a total player. 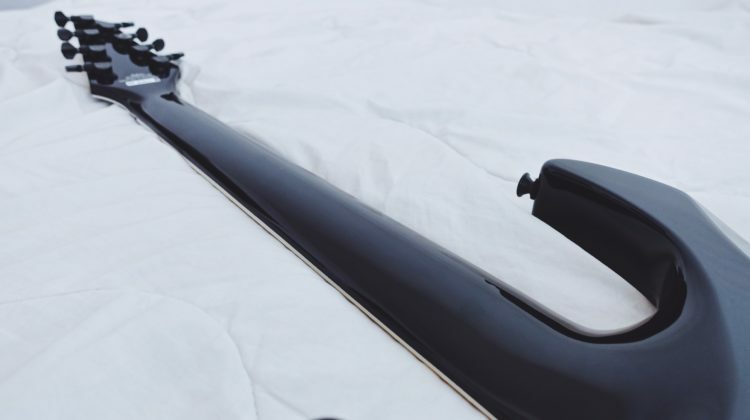 I really love the neck profile and its feel, despite the glossy finish. 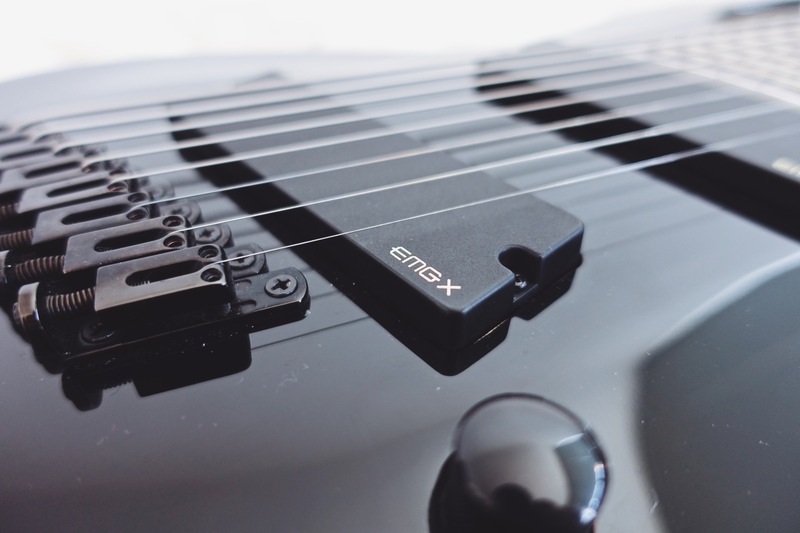 On top of that, the EMG X series pickups really make this 8-string sound huge, there’s no other way to put it! Finally, the price is also nothing short of a bang for your buck. 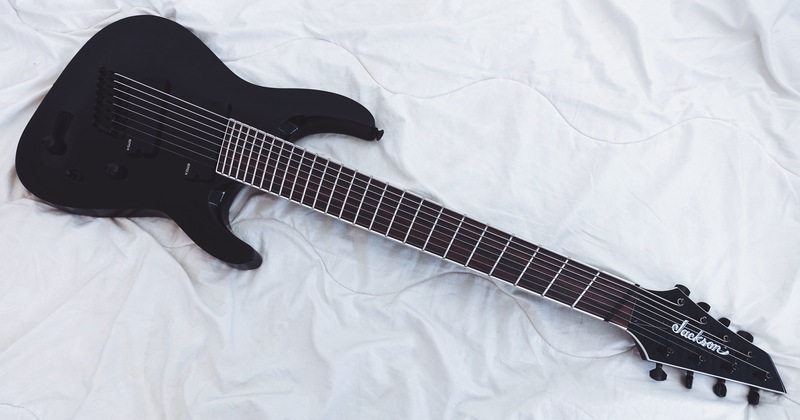 $850 for a really solid quality 8-string multiscale with a neck-thru construction and brand pickups is hard to beat. 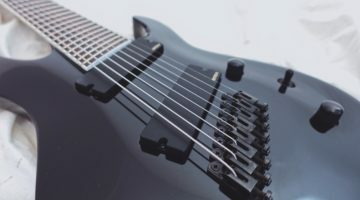 Sure, Ibanez has introduced multiscale 7- and 8-strings in the $500 range at NAMM this year, but those are bolt-on and come with Ibanez stock pickups that are most likely horrible. 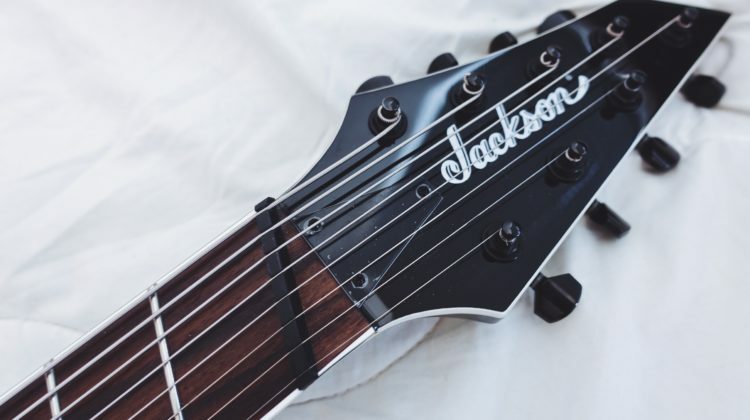 So while you can go cheaper, I don’t think you will get even close to the same value as what this Jackson has to offer. 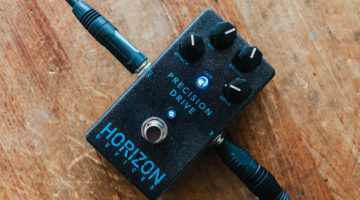 And if you’re not into the black finish, it was also released in blue metallic in the meantime. 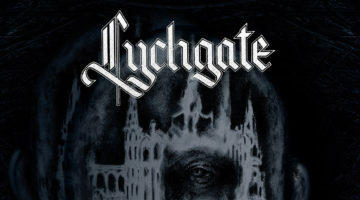 The very least I can do is recommend for you to check this beast out!